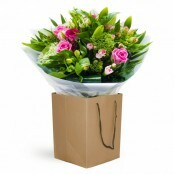 Flowers delivered in Esher can be placed for delivery any time for same day, next day or even a day of your choosing. If you are really keen to get your flowers delivered in Esher by a certain time, you can choose to do so with Forget Me Not. Support local business and order from a real local florist!